Still my all time favorite SUV. I love how they keep updating this thing. All-new AMG’d G-Wagen matches an AMG GT R for power. Yikes. This is the new Mercedes G-Class you’ve been waiting for. 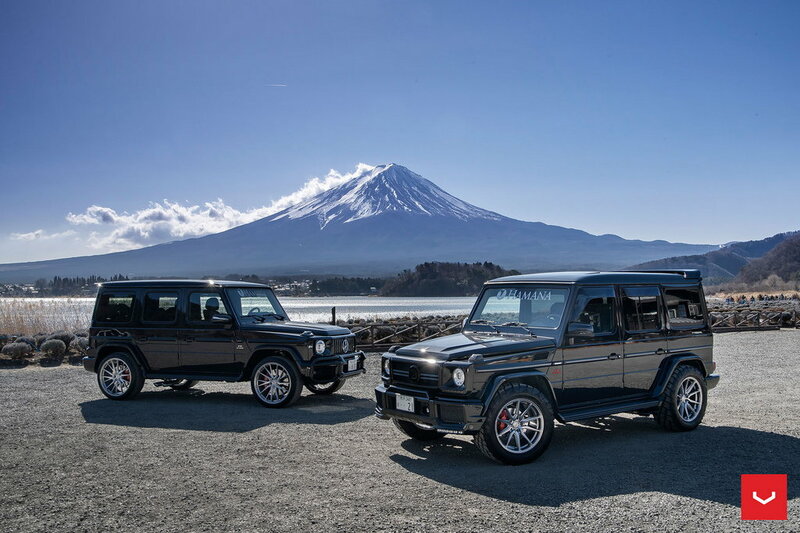 The all-new, 21st Century G-Class subjected to the maniacal desires of AMG. It’s the new G63, people. And it’s very, very brawny. 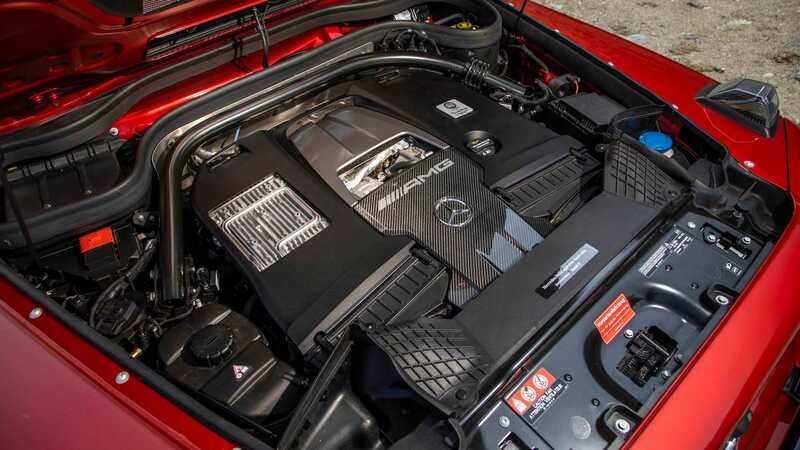 Behind a face squarer than David Coulthard’s lives the familiar 4.0-litre bi-turbo AMG V8. In days gone by, AMG detuned its V8s for service in the G-Class, because its Bronze Age chassis couldn’t cope with the potency of modern German muscle. But this, despite looking just as archaic as the G always has, is an all-new G on an all-new platform. And it can handle the power. So, the new G63 develops 577bhp. That’s an identical power output to what you find in the AMG GT R. Forty per cent of that arrives at the front wheels, and sixty per cent is sent to the back (past two pairs of side-exit exhaust along the way), via a nine-speed automatic gearbox. As a result, this shipping container with headlights is properly fast. AMG has clocked it from 0-62mph in 4.5 seconds – that’s 0.9 seconds quicker than the old G63 – and it’ll bully oncoming air all the way to 136mph. Select the AMG Driver Package (why wouldn’t you?) and it’ll romp on to 149mph. Satisfied with the speed achieved by a block of flats with door mirrors, AMG has set about making its luxury monster truck more efficient, we kid you not. Under light throttle openings – as if any G63 owners know what they are – the V8 shuts down four of its cylinders, helping claimed fuel consumption of 21.4mpg, and 299 CO2s per km. Those are whopping improvements of 1 mile-per-gallon and 23g/km. Mercedes has also carried over its new G-Class off-road innovations to the G63. New transfer case gear ratios and intelligent diffs are on board so that, should, say, a breakfast radio DJ attempt an off-piste excursion, the G63 won’t need towing out by a Land Rover. Oh, the shame. Meanwhile, the suspension is tougher, less roly-poly, and offers three levels of stiffness via a button. And if that doesn’t obliterate the ride quality, then there are options of 21 or 22-inch wheels which ought to do the trick. No word on prices yet, but a retro-styled ex-military 4x4 wearing side-exit exhausts and a grille you could griddle elk on is hardly down the rational end of the purchase scale, we’d wager. And that’s why every dream garage ought to have one. Hmm...the AMG seems to have a more pronounced expression? Or is it just me...? As much as I covet a G-wagen, this one seems to have a 'softer' front end. Not sure if I'm liking it as much. I think in order to compete with the other high horse powered SUVs in looks, they had to rice it out. however; that isnt the appeal of the past AMG G-wagons..to me the appeal was sticking a 500-700hp engine into a classic G-wagon body. Well, it's a darn sexay brick. I will be seeing all the desperate housewives driving this thing in Beverly Hills in no time. I can appreciate a lot of things about these and my cousin buys these exclusively for his wife every couple years, but honestly they have just never appealed to me. I don’t know why, I just don’t get as turned on to them as other people do. I realize they have a bit of a status symbol and that is a huge component of it, but I don’t know, I just don’t feel it. We were never supposed to want the Mercedes-Benz G-Class, but we do. How can we resist its talents? On a recent trip to southern Europe, I drove it on its side, hovering on two wheels at one point as I dangled above a steep incline. Gravel spit, rocks flew from my wheels, and my adrenaline rushed. I am happy to report that I didn’t flip the vehicle on this precarious adventure. Mercedes is betting that the well-to-do will continue to prefer these mini luxury tanks for the foreseeable future, even if most of its customers will buy into the idea of its powers rather than executing its moves in reality. We saw the G-Wagen, as it’s also known, make its swaggering entrance at the North American International Auto Show in January. This fall, two redesigned models will go on sale: the G550 and even more powerful G63 AMG. Mercedes found a way to revive its old-school essence, and it doubled down on making a more complex, practical, and technically savvy ride. Was is it my imagination, or did the G-Class receive a few low-level whistles when I drove down cobblestone streets through misty Catalonian towns over the Spanish border? I ended up in the bustling Barcelona city center, a few blocks from where Mobile World Congress is held, blasting me from mythology back into the modern day. Though the G-Class preserves its classic looks, it feels modern inside. Climbing up into the cabin of G-Wagen is an emboldening experience. It has always required a hoist of the body and is not for the out-of-shape or petite. Mercedes has made its interior changes overt. A few staple cues have been modernized, like round air vents that mirror the front headlights and a grab-bar in front of the passenger seat that’s made from a substantial wood. It also added comfy seats with the option for a body-hugging massage. 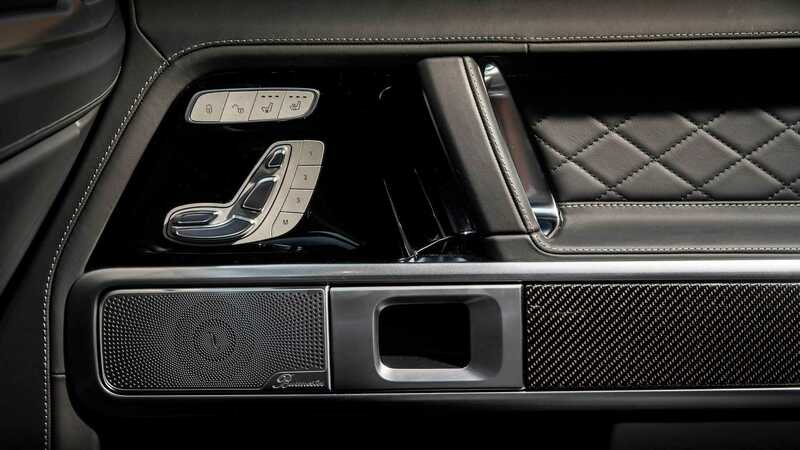 It has several USB ports, and a slick Burmester sound system. It shed its campy, rugged feel for a high-gloss treatment that includes an option for a slick digital dual-screen, similar to other new Mercedes models, and it uses the Mercedes-branded Comand infotainment system. The screen layout is adaptable in three different views — classic, sport, and progressive — which tells you a lot about how Mercedes thinks about the people who drive this vehicle. The biggest issue with the horizontal wide-screen panel is its placement on the dash. The steering wheel blocks much of the wide-screen view, where Comand functions are housed. I found myself ducking in search of information. And no matter how I positioned the wheel, I couldn’t find a clear line of sight. It’s a problem dictated by the G’s inherent proportions. To maneuver around this system, there’s a choice between thumb-clicking the pads on the side of the wheel or using the touchpad above the arm rest that’s wired with “haptic impulses.” The electrical functions change the screen setting as you hover your hand over the joystick. When the car was in park, I leaned directly over the console to take photos and promptly confused the system as it started scrolling through screen options at a delirious rate. The purpose of this setup is to prevent the driver from looking down while driving. And while it’s the right move to prevent distraction, it could use further refinement on execution. There’s a sense of disconnect in this process. Using this system is never quite intuitive. A heads-up display seems like it would be more useful, especially in off-roading mode. An in-car hologram would be even better. In lieu of the massive screen, there’s also an option for traditional gauges paired with the 12.3-inch screen that’s housed in the center console. What the G-Wagen lacks so far is the new MBUX system. (Mercedes designers told me there wasn’t time to incorporate it.) The rollout of MBUX, which The Verge tested at CES, debuts in the A-Class and the Sprinter van this summer. When it eventually makes its way to G-Wagen, it will be interesting to see how this improved system changes the way the driver interacts with a car that sits high up and is equipped to do so much more than cruise. The most noticeable shift in the G-Wagen is the way it drives. Mercedes changed the internal architecture and added new front suspension with an independent double wishbone front axle that works in tandem with its rear. This engineering move is a performance game-changer, and it makes the G-Class a much smoother handler. During my excursion, I gave the G-Class a whirl in the backcountry. I drove it up sharp hills that made my stomach turn. I maneuvered the vehicle to hug along a narrow shoulder and ignored my fear of heights and the sharp drop at my side. Somewhere in this stretch, I maneuvered onto two wheels, aided by a few subtle cues from a co-driver. Back down in the valley, I coasted through a spring filled with high, muddy waters that licked at my windows. To accomplish these feats, three differential locks positioned on the center console— full front, center, and rear differential — adapt to the way the vehicle tackles its task. Part of the reason I was able to execute these risky moves is the additional “G-Mode,” a system that adjusts the way the vehicle responds to steering, gear changes, and acceleration. It makes you feel like a better off-road driver than you are when you take on the rough landscape. In G-Mode, you can alter the screen to get more information about what’s happening outside of the car, including a 360-degree camera that allows you to see beyond the sightline of the wheel. I even backed up a steep incline that made me dizzy. Most drivers will never attempt this foolishness, but bragging rights are part of G’s backstory. It doesn’t just look like an army toy; it behaves like an all-terrain Star Wars vehicle sidekick. On the exterior, its proportions, square physique, and substantial size make it instantly identifiable (though most of those have been altered slightly). It’s both longer and wider. Only a handful of design cues remain from recent model years, including the door handles, spare tire cover, and part of the headlights. Aluminum is used on the side panels, which lightens up the overall weight and improves efficiency. The biggest difference between the G550 and the G63 models are performance bragging rights. 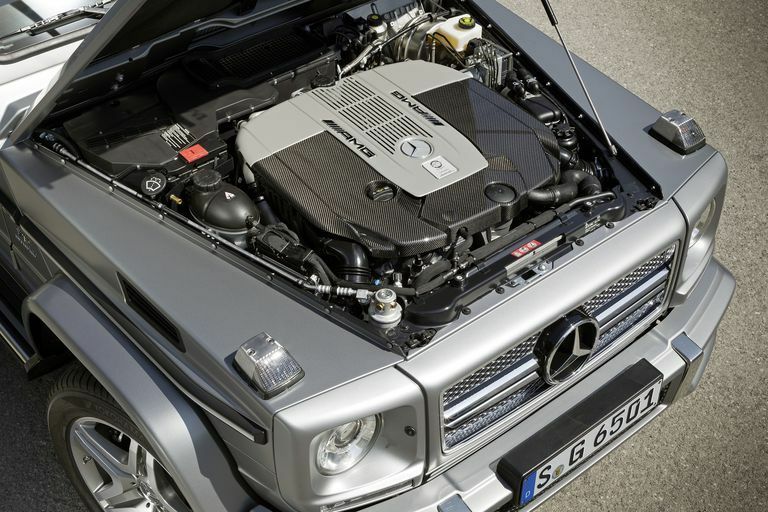 The G63 has a bigger engine, which produces 577 horsepower, bigger wheels, and AMG badging as part of its offering. What all the Gs lack, of course, is a cap on the use of petrol. To maintain its classic form, it relinquishes aerodynamics, and all that power, so far, doesn’t translate to a comparable electric powertrain. But since the average G-Class driver owns several other cars, they can balance out their carbon footprint with something more fuel-conscious, if they so choose. Who drives the funky G-Wagen? It’s still an anomaly to see one on the road, which is part of its decadent fun. It takes considerable cash to play in this field. Pricing hasn’t been announced, but it’s likely to start around at least $125,000 for the G550 and in the $150,000 range for the G63 AMG. From the beginning, G-Wagen’s ascent to a showy American status symbol was a fluke. In the mid-1970s, the Shah of Iran was among those that spurred its development process, and preordered a small fleet. By the time partners Steyr, Daimler, and Puch brought the first Geländewagen to market in 1979, the Shah was no longer in power.G became the iconic Popemobile of choice in 1980. It has always been boxy and brash but also beguiling. Early models featured chunky plaid seats intended for both military and agricultural purposes, and it only made 71 horsepower. G-Wagens were made into firetrucks and ambulances. There was even a convertible model still coveted by car collectors. 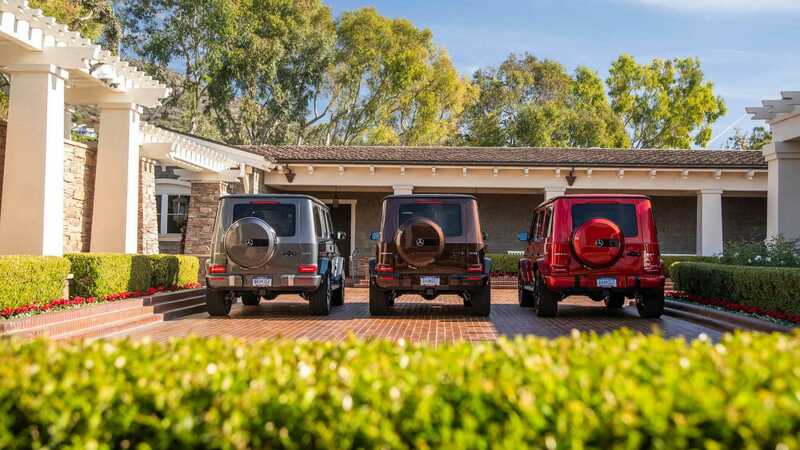 Its distinction drove demand, and soon, third-party importers brought the G-Wagen Stateside. It grew into the ultimate symbol for bling when it was officially introduced to the US market in 2003 as the G-Class in official Mercedes-Benz lineup. It became a movie star, ubiquitous with badass, featured in Die Hard, Jurassic World, and The Bourne Supremacy. 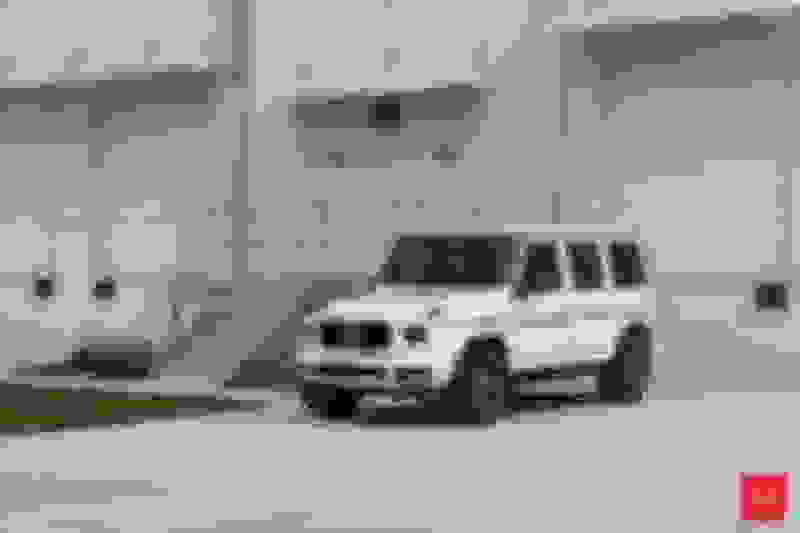 The G-Wagen was the leading figure throughout the stars and cars era, as demonstrated through the lens of Kardashian GoPros, and more recently, on Logan Paul’s YouTube channel. But driving the G as an everyday car had its cons. It was so loud that you could barely have a conversation; it had heavy, awkward doors that were hard to shut; and its rigid, rickety handling was unforgiving on public roads. The interior felt downright dated, in a not-cool way that bordered on tacky tech, and the high-backed seats could be punishing on long excursions. With this model, that legacy could be left in the past. It’s clear from all of the careful changes that Mercedes is recasting the new G as a more viable super-fancy SUV. The timing for this vision appears to be right. SUVs have locked down the markets as the go-to choice for most buyers. Ford, excluding the Mustang and upcoming Focus, will cease production on passenger cars. But the question is: do we have our version of the future all wrong? The G-Wagen might not sell as well as the more compact GLE made by Mercedes, but that’s because the G-Wagen is meant to stay exclusive. It’s not for everyone because of the cost and the sheer audacity it takes to helm such a statement-maker. But what it does do is instill desire. 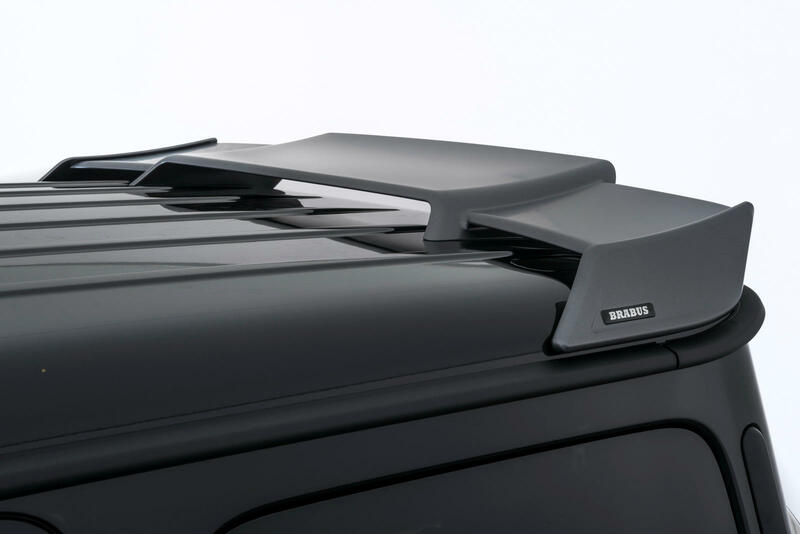 People still do love sitting up high in their SUVs and packing in extra storage options. Perhaps the self-driving future will be led — or inspired — by big, badass-looking toy think tanks. If not, at least in the present moment for both stylists and survivalists, the G-Wagen makes its case for storming the streets with swagger. Mercedes-Benz has an all-new G-Class with advanced features like an independent front suspension and a steering system that doesn't originate from the middle ages. But there's a problem for twenty owners of the 2017 G65 in North America, which is still based on the original 463 chassis. The National Highway Traffic Safety Administration says that you should visit your dealer. Yep, the one that managed to sell you what's arguably the worst and most overpriced variant of the entire G-Class lineup. Why the recall? It's because the ECU software probably won't stop you from exceeding 16 mph in reverse. And with all the weight of a six-liter twin-turbo V12 up front, when you hit 17 mph in reverse, things could really get out of hand. Not to worry though. As mentioned above, NHTSA says only twenty G65s are impacted in the United States, and Mercedes-Benz will fix them with a simple software upgrade, free of charge. After that your $222,700+ G should be just fine in reverse. Especially if you drive it forward, dead straight, in the middle of an L.A. traffic jam. Now just imagine what the tuner can do with the new G63. 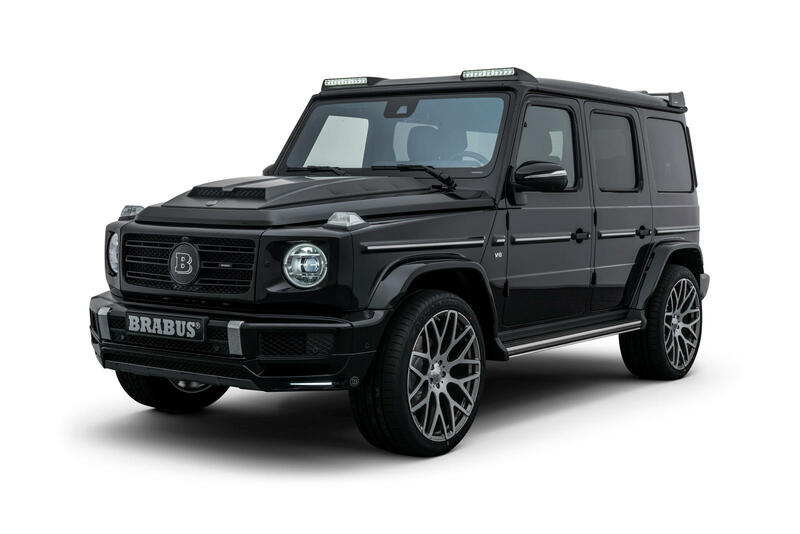 The all-new Mercedes G-class finally made its debut earlier this year, so it was only a matter of time before renowned German tuner Brabus enhanced the iconic off-roader to make it more brutal. 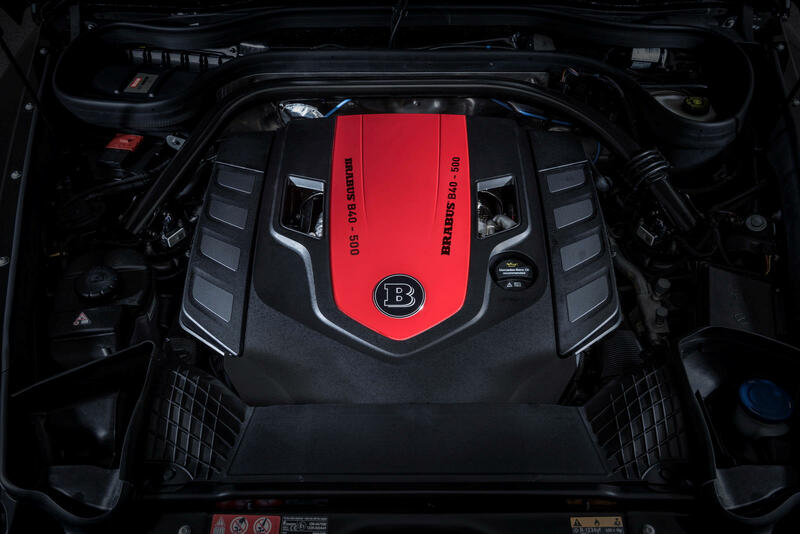 The company’s new tuning package adds an extra 78 hp and 74 lb-ft of torque, cranking the total output up to a hefty 500 hp at 5,600 rpm and a monumental 524 lb-ft of torque between 2,250 and 4,250 rpm. This power boost enables the SUV to accelerate from 0-62 mph in just 5.7 seconds before reaching an electronically limited top speed of 130 mph. All that power is sent through the G500’s nine-speed automatic transmission, or the gears can be manually operated using Brabus' aluminum paddle shifters on the steering wheel. 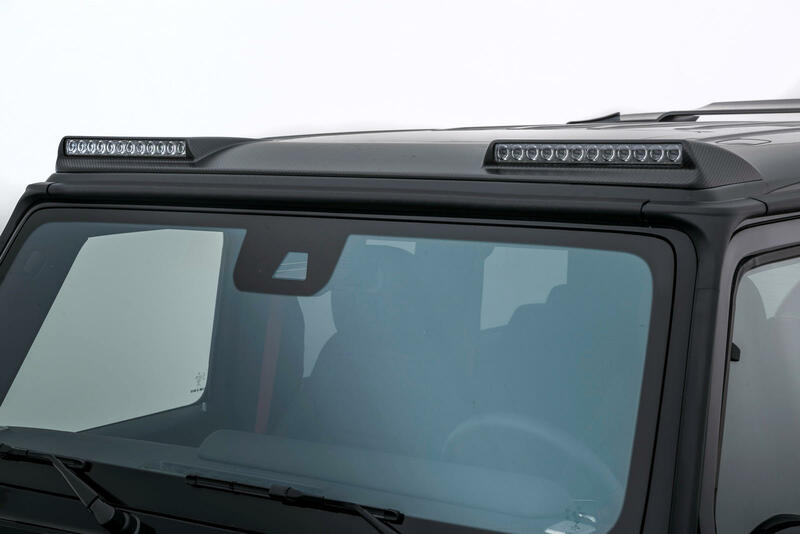 As well as modifying the powertrain, the Brabus-tuned Mercedes G500 comes with a host of visual enhancements. 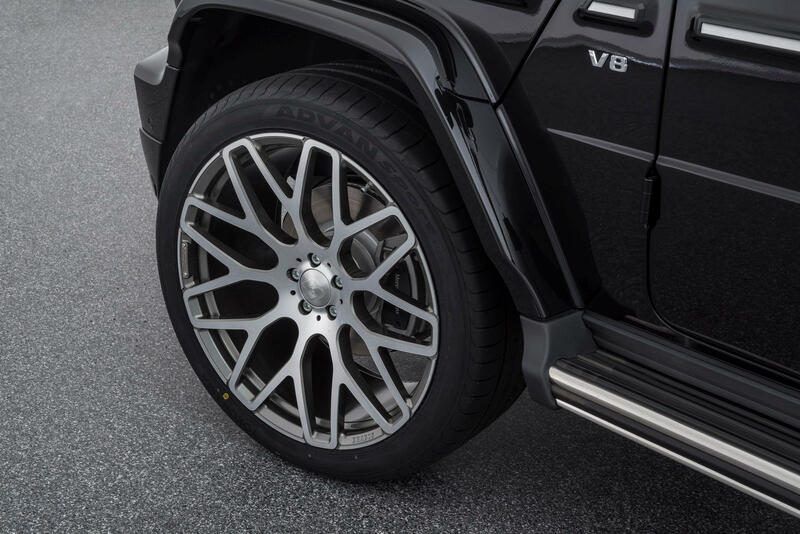 Customers can choose from a large selection of Monoblock alloy wheels designed specifically for the new G-Class ranging from 20 to 23 inches. The largest wheels are wrapped in 305/35 R23 tires. Adding to the SUV’s striking appearance is a new carbon fiber hood with a carbon scoop, a custom grille, roof-mounted LED lights, and an integral spoiler that reduces front-axle lift at high speeds while improving the handling stability. 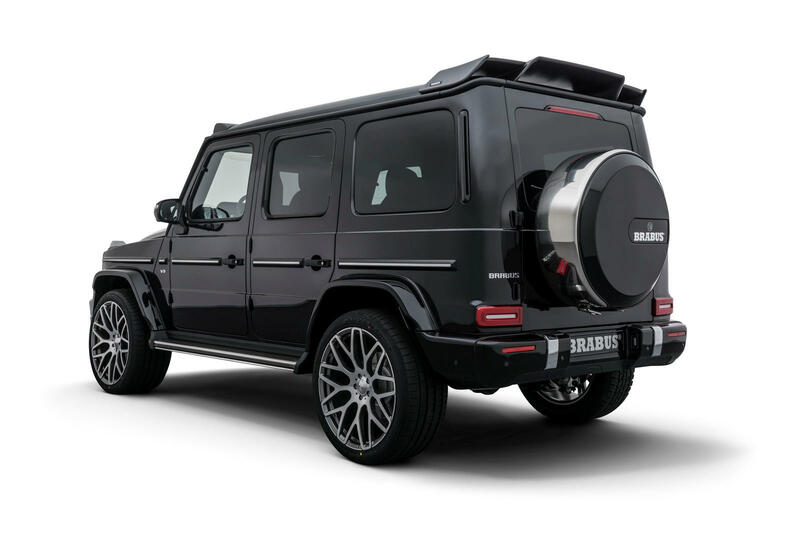 For an additional cost, customers can also add a stainless sport exhaust system with actively controlled flaps and two chrome tailpipes exiting on each side designed specifically for the new Mercedes G 500. The exhaust note can be actively controlled by selecting either a restrained “coming home” mode or an ear-splitting sport mode that unleashes the G500’s powerful V8 t its full potential. 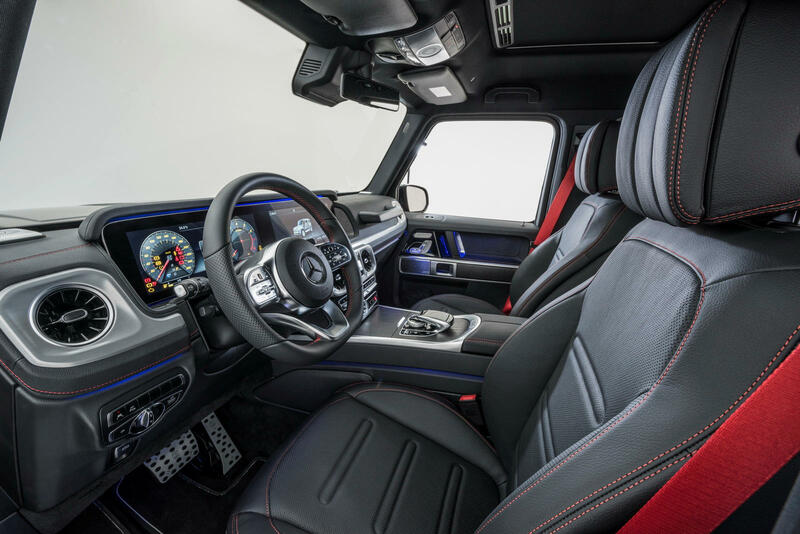 As with other Brabus models, the interior can be fully customized with fine leather and Alcantara materials, offering endless possibility in color variety and design. A huge variety of wood components and carbon fiber elements are also available. 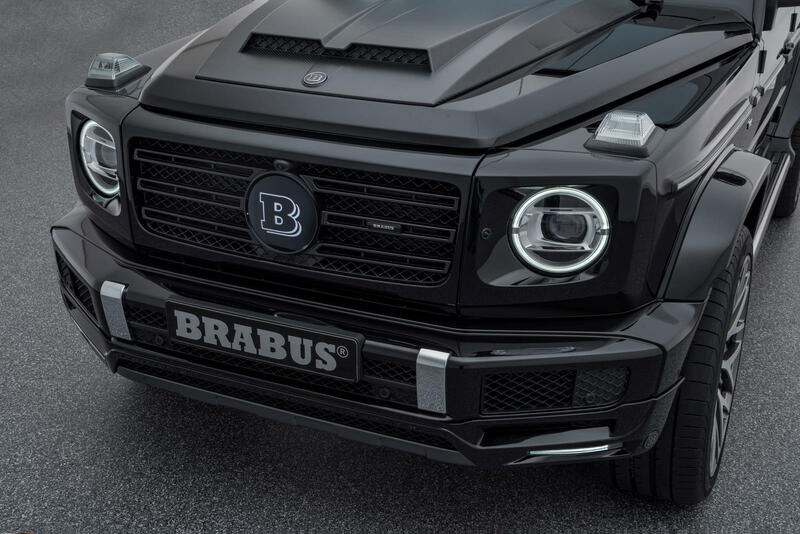 Let's hope it doesn't take long for Brabus to bump up the new G63's power. This old-looking dog learns some new tricks. The 2019 Mercedes-AMG G63 is a silly thing. Rolling on summer tires and weighed down by heavy-duty off-road kit that includes a transfer case and a meaty front-mounted bullbar, the G63 is simultaneously a subpar vehicle for tackling trails and clipping apexes. And yet, I’m smitten with the body-on-frame SUV as I push its immense mass through the winding desert roads and dirt-covered turnoffs just east of San Diego. 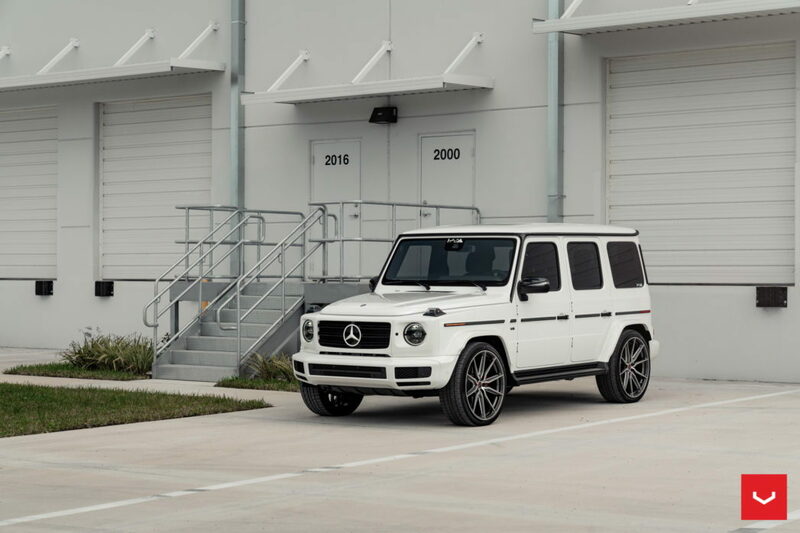 Mercedes isn’t ready to divulge how many pounds the model packs, but if the redesigned G550’s 375-pound diet is anything to go by, then the G63 ought to clock in at approximately 5,500 pounds. Or almost a half-ton greater than the mid-size Mercedes-AMG E63S sedan. The G doesn’t hide its heft, either, and this big box has an inevitable tendency to keel and drag its front wheels at the limit. As with its predecessor, the new G63 provides the nostalgic sensation of driving a vehicle from a bygone era: the steering is slow and numb, the brake pedal is rather wooden, and there is copious amounts of body roll. 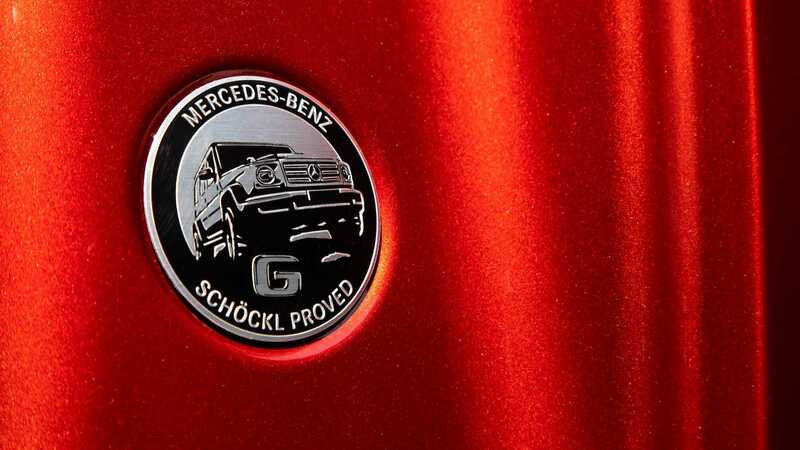 Still, there’s an innate charm to the G63, and the second-generation model boasts a new-found sense of confidence in its controls that improves its agility without sacrificing its allure. In place of the prior model’s vague, hydraulic-assist, recirculating-ball steering system, the new G comes equipped with a modern electric-assist, rack-and-pinion setup that builds weight naturally and does away with the old SUV’s Grand Canyon-sized on-center dead spot. 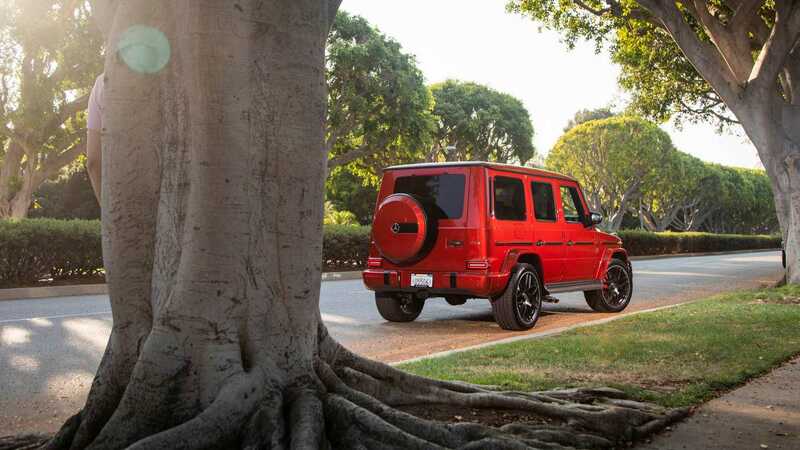 Likewise, the brakes apply force progressively, while an independent front suspension system, which replaces the previous model’s live unit, and six-inch wider front and rear tracks allow the new G63 to grip the asphalt without feeling as though it’s on the verge of tipping over. The real magic, however, rests underhood. Subbing in for last year’s twin-turbocharged 5.5-liter V8 engine is a twin-turbocharged 4.0-liter V8. In spite of its smaller displacement, the hand-built bent-eight packs an extra 14 horsepower and 66 pound-feet of torque over its forebear. The stable now houses 577 horses, while 627 pound-feet of twist is available at a low 2,500 RPM. 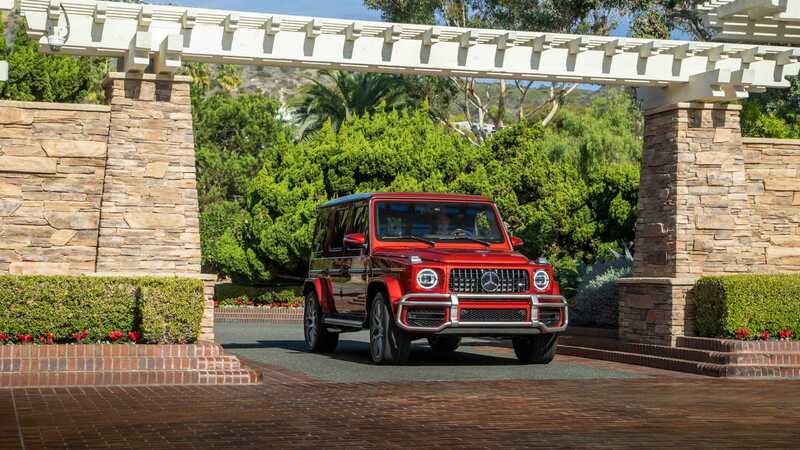 Thanks to a fiery new nine-speed automatic transmission and an all-wheel-drive system that defaults to sending 60 percent of the engine’s power to the rear axle (the old G63 sported a seven-speed gearbox and sent 50 percent of the engine’s power to each axle), the 2019 G63 manages to accelerate with the tenacity of a classic American muscle car. Mercedes claims the trot to 60 mph takes 4.4 seconds – 0.9 seconds ahead of the prior G63 and equal to that of the Mercedes-AMG GT53 4-Door. 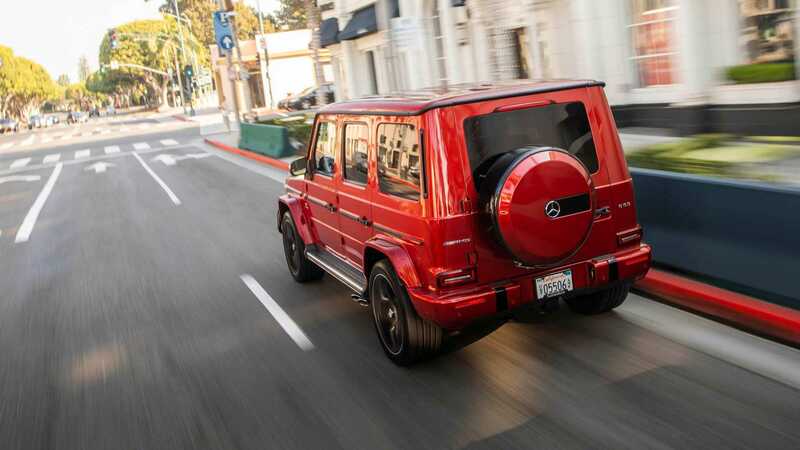 Top-speed stands at an electronically limited 137 mph, but, an available Driver’s package can push the G63 to 149 mph. Fuel economy figures remain under wraps, but it’s safe to assume the G63 will gulp gas at a greater rate than the G550, which the EPA rates at an unremarkable 13 MPG city, 17 MPG highway, and 14 MPG combined. The powertrain evinces a Jekyll and Hyde duality, and the V8 engine is equally as happy to lope around at low speeds in San Diego traffic as it is exploding toward its 7,000-RPM redline on the long straights surrounding Anza-Borrego Desert State Park. These qualities are further exacerbated by way of the SUV’s drive modes, which include Slippery, Comfort, Sport, Sport Plus, and Individual settings (the latter of which allows the driver to mix and match the various drive settings into one drive selectable option). I tend to leave the G63 in its softer Comfort setting, although more vigorous sections of the drive compel me to occasionally swap to the racy Sport Plus mode for its additional steering weight, stiffer damping, and snappier throttle response and gear changes. 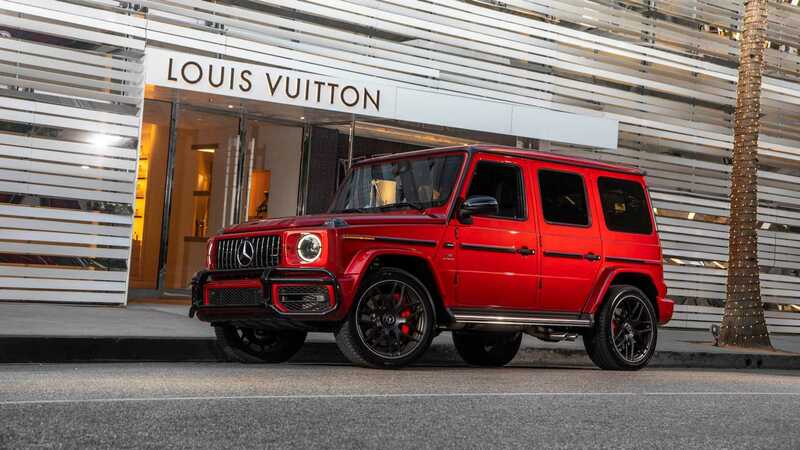 There’s no point in taking the G63 off-road, though, as the AMG model lacks the rubber needed to take advantage of its three-locking differential (center, front, and rear), low-range transfer case, and 9.5 inches of available ground clearance. While the 22-inch Goodyear Eagle F1 tires are robust instruments on tarmac, the sticky shoes are feeble contraptions on unpaved surfaces. With a proper set of tires, the G63 is sure to best the G550 on the rough stuff. Thank the trio of off-road drive modes (Sand, Trail, and Rock) that are exclusive to the AMG. Regardless of the terrain below, both G-Class models coddle their occupants in cosseting interiors. Credit a 1.6-inch longer wheelbase and a 4.8-inch wider cabin that allow the German SUV to offer an additional 1.5 inches of leg and shoulder room to front occupants and an extra 5.9 inches of legroom and 1.1 inches of shoulder room to those occupying the three-across, 60/40-split folding rear bench seat. 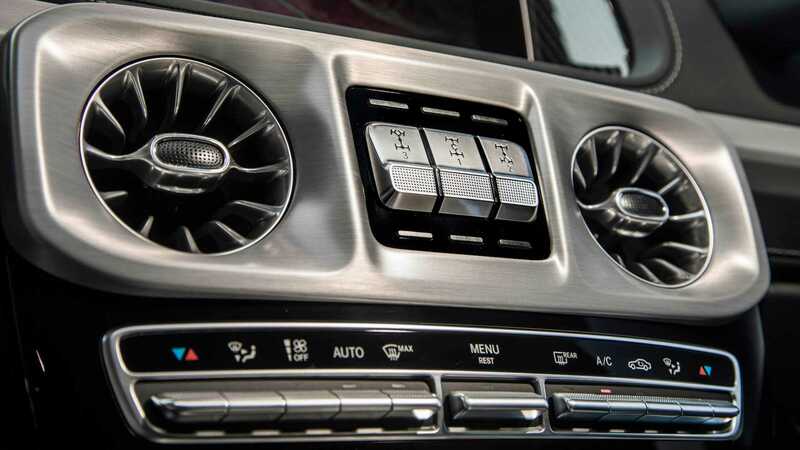 In conjunction with modern features such as a push-button start system, a 12.3-inch infotainment screen, and a folding armrest for rear passengers (finally), the G-Class now offers the comforts expected in a vehicle donning the three-pointed star. 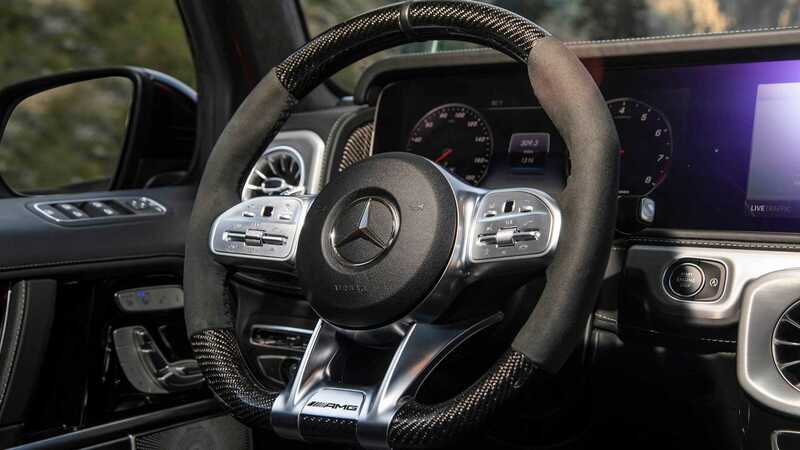 Options are many, and the G63 I helm includes $500 worth of suede-like material on the meaty AMG-specific steering wheel, $850 for a 12.3-inch digital gauge cluster (an analog speedometer and tachometer come standard), $1,300 in Black Flamed open-pore Ash Wood, a $1,500 carbon-fiber engine cover, $2,300 worth of Cardinal Red Metallic paint, a set of 22-inch multi-spoke wheels for $3,950, and the $7,200 Exclusive Interior Package Plus, which adds a frameless rearview mirror, suede-like headliner, a leather-covered dashboard, heavily bolstered massaging front seats with heating and cooling functions, diamond stitching on the seats and door panels, and special floor mats, bringing the total cost to $166,095 (including a $995 destination charge). Skip the extras, and the cost of entry falls to $147,500 – $23,000 more than the base price of the less powerful G550. Although the 2019 Mercedes-AMG G63 is a significant improvement over its predecessor, it remains an antiquated apparatus that’s neither a particularly good track tool (there are Mercedes SUVs that work in such a place) nor a device well-suited for exploring unpaved environments (at least without decent rubber). Still, the G63 is the rare sort of vehicle that makes every drive feel like a momentous occasion. Yes, it’s silly, but it’s also divine. Now there's an all-new 2019 model—well, all new except the high-effort door latches, door handles, and spare-tire carrier that hangs off the back, all of which carry over—its first major redesign since its inception in 1979. And we're happy to report that although it now has a proper Mercedes interior and rides, drives, and corners far better than before, it's still plenty ridiculous. It handles far better than before, too, although you shouldn't conflate "better" and "good." We measured skidpad grip of 0.75 g, which some might point out is considerably worse than what a Honda Ridgeline pickup can do. But—come on—maintain perspective. This is a nearly 20 percent improvement, sure to keep many a potential debutante from debutanting in a negative light. The demand for these things is insane. Still up to 20-30k markup by some dealers. Then people mod them right away. What a market! The newly redesigned Mercedes G-Wagen, the expensive body-on-frame off-roader that for the first time ever has independent front suspension, was crashed tested by the European New Car Assessment Program, and the results are exemplary. Just watch as this boxy fortress shrugs off barriers and avoids pedestrians with ease. “Mercedes-Benz’s rugged G-Class also comes in with a five-star rating with an impressive performance in each of the four areas of assessment,” Euro NCAP says in its press release, lauding the G-Class’ safety assist systems, as well as its ability to protect adult occupants, child occupants, and pedestrians. Here’s a look at the G-Wagen being put through the wringer. You can read Euro NCAP’s full report here, but the gist of it is that the vehicle scored 90 percent, 83 percent, and 78 percent in the areas of adult occupant protection, child occupant protection, and “vulnerable road user” protection, respectively. The Magna Steyr-built poshmobile did especially well in side impact testing, managing 16 out of 16 points for adult occupant protection and managing the full 8 points for child protection. The new G-Wagen has been receiving rapturous driving impressions from journalists, and now it has scored top safety marks. Plus it looks good. It took Mercedes decades to finally do a major G-Class redesign, but it appears to be paying off. The G 400d would offer European buyers a more potent diesel option. 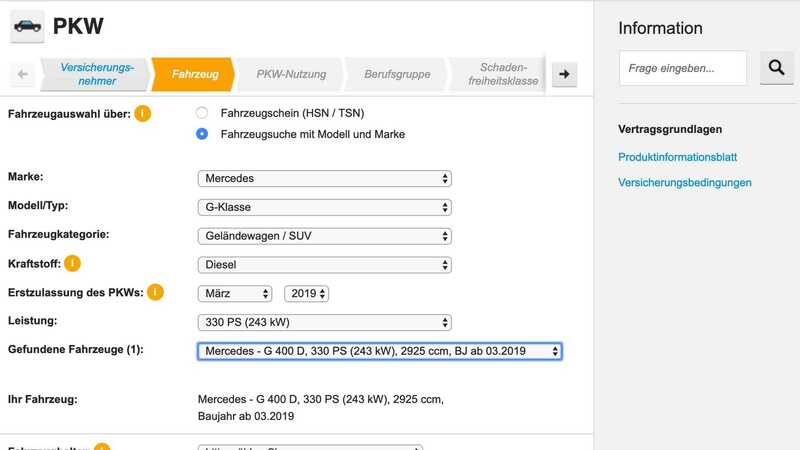 A new listing from German insurance company HUK24 indicates that a Mercedes-Benz G 400d diesel is on the way soon to European buyers. To lend further credence to this addition to the lineup, HUK24 previously predicted the power for the Mercedes-AMG GT R Roadster and Mercedes-AMG A45 S.
The listing shows the G 400d using a 3.0-liter engine producing 326 horsepower (242 kilowatts). It would likely be available alongside the existing G 350d in Europe that produces 282 hp (210 kW). HUK24 doesn't list the G 400d's torque rating, but it should be higher than the G 350d's 443 pound-feet (600 Newton-meters). The insurance firm also doesn't mention the transmission, but all other non-AMG G-Class variants have a nine-speed automatic. The G 350d has a 3.0-liter inline six turbodiesel. It's powerful enough to push the boxy SUV to 62 miles per hour (100 kilometers per hour) in 7.4 seconds. The top speed is 124 mph (199 kph). With an extra 44 hp, the G 400d should be even more potent. In Germany, the G 350d starts at 95,021.50 euros ($107,868 at current exchange rates), so the G 400d would be somewhat more expensive than this figure. However, it might still undercut the gas-fueled G 500's starting cost of 107,040.50 euro ($121,506). Like the G 350d, don't expect to see the G 400d in American showrooms. Mercedes is putting a greater emphasis on electrification in the United States rather than offering a wide range of diesel powerplants. In the U.S, the G-Class is currently available as the 416-hp G 550 for $124,500 and 577-hp G 63 AMG for $147,500.